Performance, reliability and handling comfort are very important factors for interior sanding work. 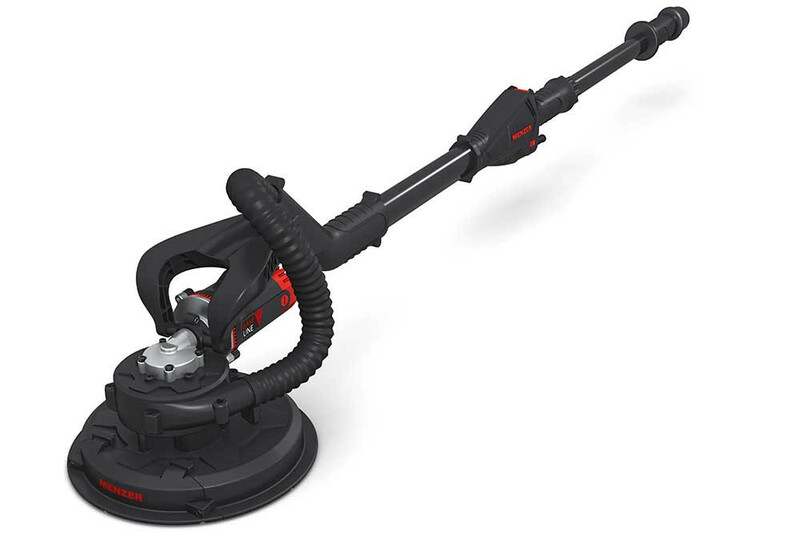 These are qualities MENZER sanders and industrial vacuum cleaners offer in abundance. 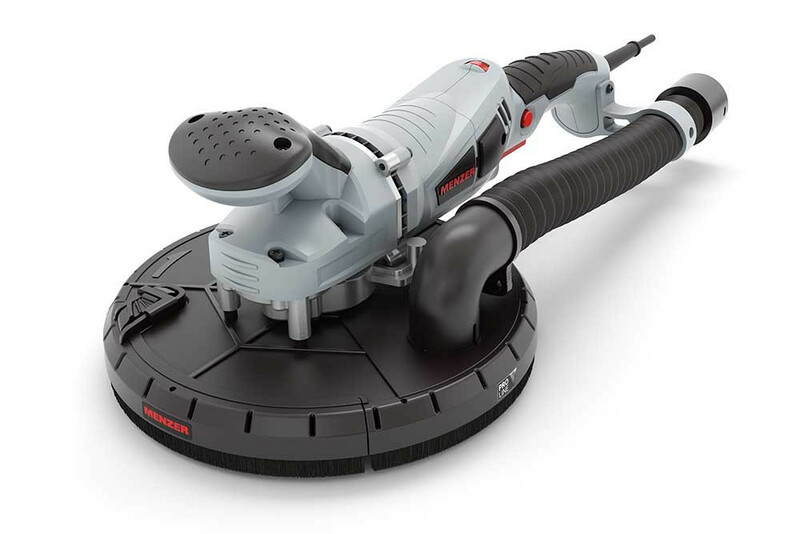 Combined with MENZER abrasives, these machines guarantee excellent operating conditions and work results. Our products for the sanding and vacuuming sector were developed specifically for intensive continuous operation in interior fitting and trade environments. The machines and tools feature excellent performance, high operating comfort and smart solutions in the smallest details. Moreover, all MENZER machines are very economical in terms of power consumption. 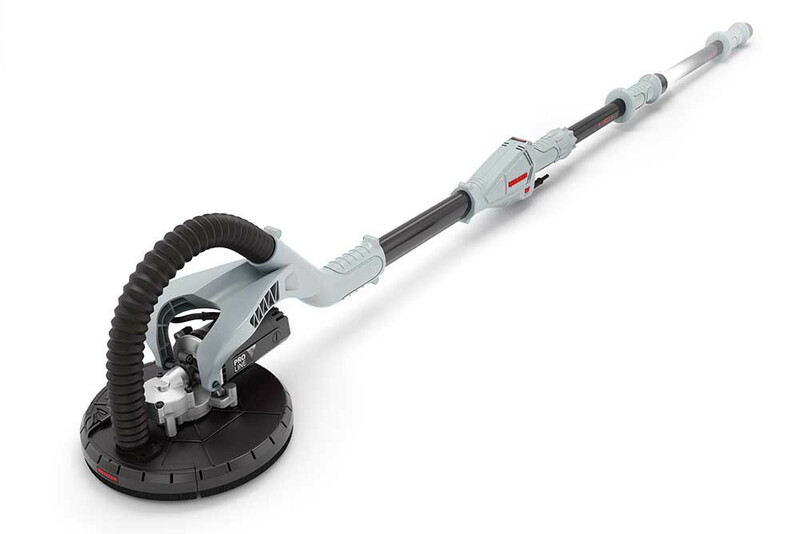 BASE LINE sanders and industrial vacuum cleaners by MENZER are an excellent choice for private individuals as well as tradesmen, who only do sanding jobs occasionally. The technology of these machines impresses with exceptional power, resilience and easy operation. 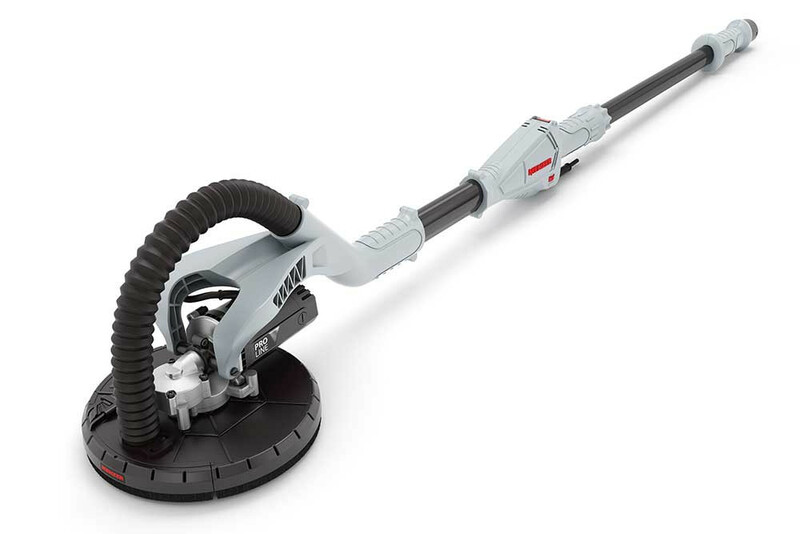 MENZER AV machines with an integrated dust extraction unit allow for virtually dust-free sanding without any need for an industrial vacuum cleaner. MENZER LHS 225 PRO is a real powerhouse. Designed for intensive and continuous operation, this machine is designed to overcome the challenges of drywall construction. 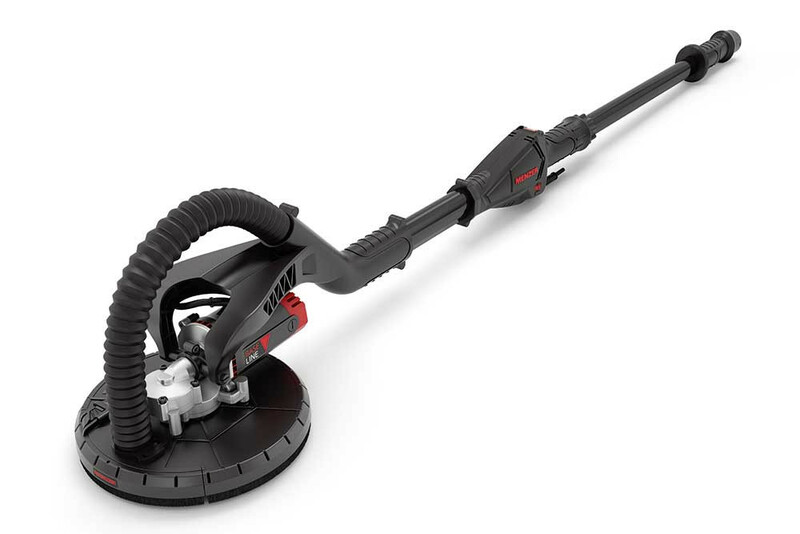 Its powerful motor, wear-resistant direct drive and the machine’s smart electronics ensure a long service life. The tireless workhorse with adjustable work length. 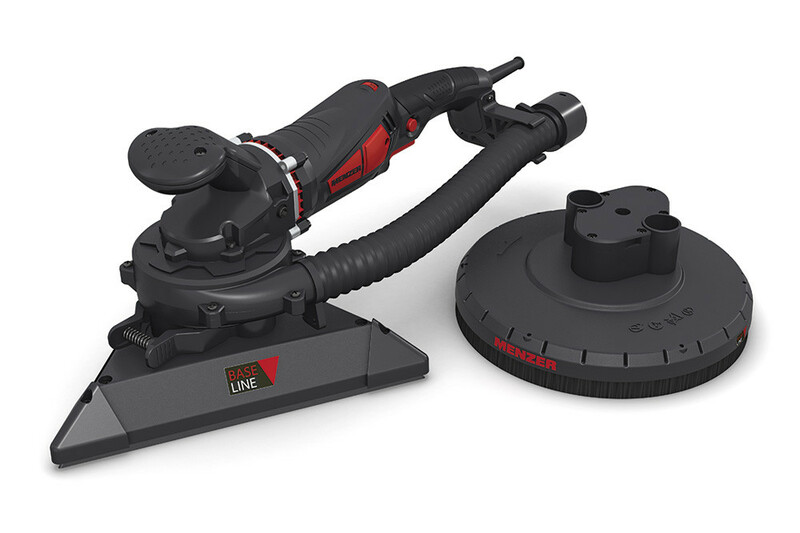 The powerful MENZER LHS 225 PRO VARIO with its stepless telescope technology is ultra versatile: a variable work length of 1,550 to 1,950 mm makes sanding in high ceiling rooms much more comfortable. This drywall sander with MENZER Long Life technology satisfies the exacting requirements of drywall construction experts. MENZER TBS 225 PRO is a perfect companion for recurring tasks on scaffolding or in narrow spaces. Our MENZER Long Life technology makes it highly reliable and economical. The highly compact design and low intrinsic weight of just 2.6 kg are additional benefits. The workhorse with replaceable head system. Areas, corners or edges – the MENZER TSW 225 PRO with its replaceable head system is your perfect companion for professional work results. The high-performance motor, coupled with MENZER Long Life technology, guarantees a very long service life. Reliable and thorough: The high intrinsic weight (85 kg) of the MENZER BSM 750 S floor sander ensures a powerful grinding action on wood flooring. The high performance motor and the large roller guarantee uniform sanding results. The automatic sanding belt centring unit and easy sanding belt replacement will have your work progressing nicely in no time at all. The robust MENZER BSM 750 E floor sander grinds wood flooring reliably and with a high abrasion rate. The steplessly adjustable roller pressure, an optional add-on weight and adjustable sanding belt guarantee perfect grinding results. The sophisticated design of the machine allows a quick and easy sanding belt replacement and easy transport. The compact MENZER RSM 150 edging machine with integrated dust removal unit is a perfect addition for your fleet of MENZER belt sanders. The slight tilt in the driving disc allows for precise sanding of edges, corners and stairs. An optional long attachment allows you to reach the most difficult places. The MENZER ESM 406 SK orbital floor sander is very versatile to use – it sands difficult substrates and can also handle the fine and intermediate scuffing of wood flooring. The abrasion pressure can be individually adjusted with the add-on weight. 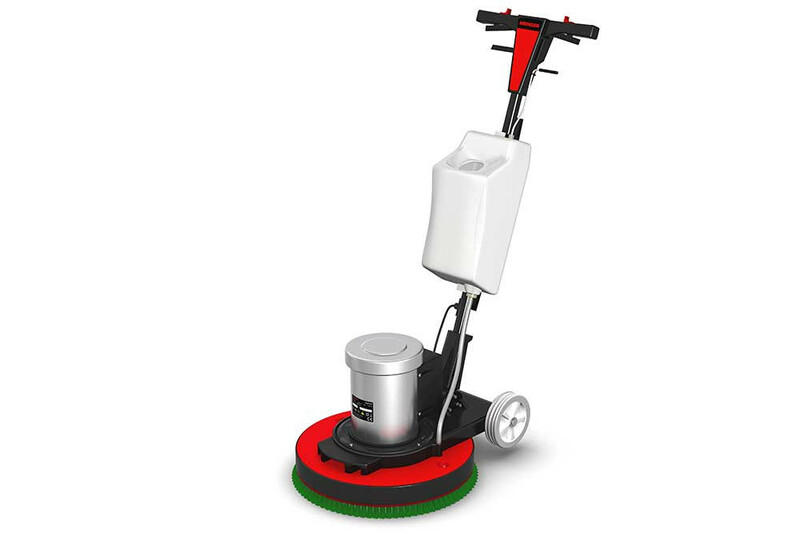 The optional cleaning kit for the ESM 406 SK makes it a cleaning and maintenance machine for finished floors. The versatile floor cleaning machine. 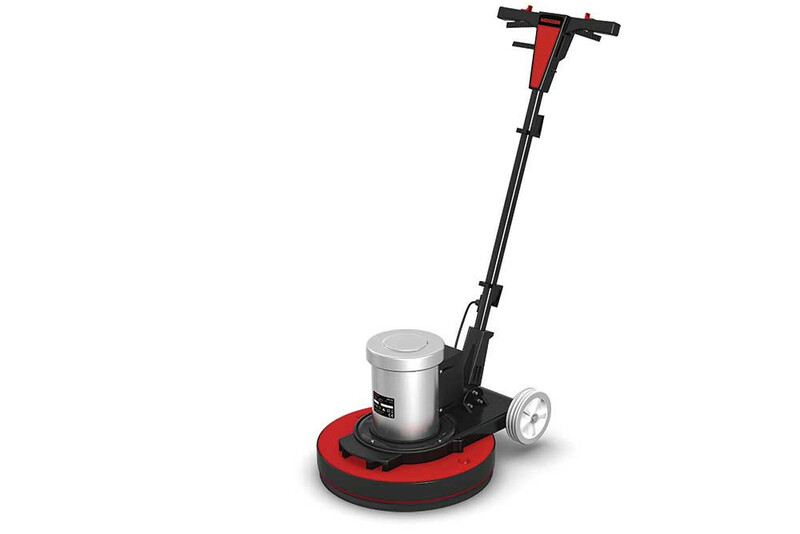 MENZER ESM 406 is a perfect cleaning, maintenance, polishing or floor oiling machine. The brushes remove dirt thoroughly, yet carefully. The driving disc for sanding and polishing pads allows an effective maintenance and oiling of substrates. 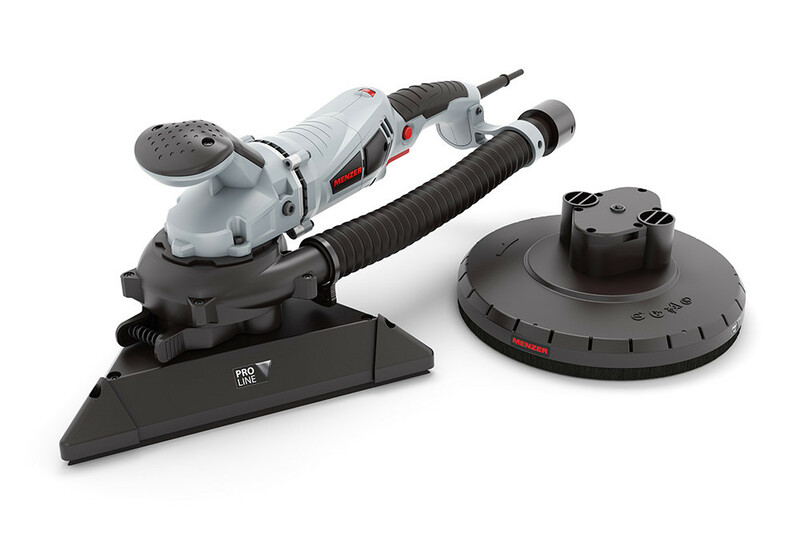 The optional sanding kit for the ESM 406 transforms the machine into a floor sander. 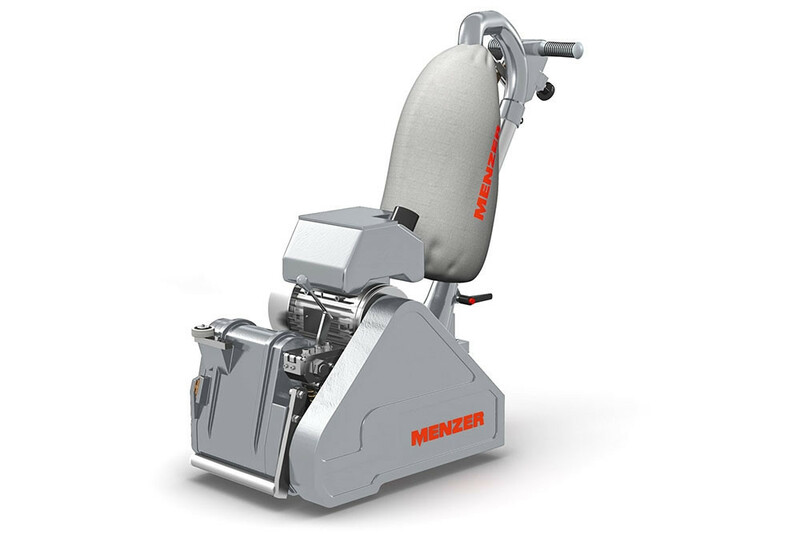 The powerful MENZER SF 125 is an excellent companion in renovation and refurbishment jobs. 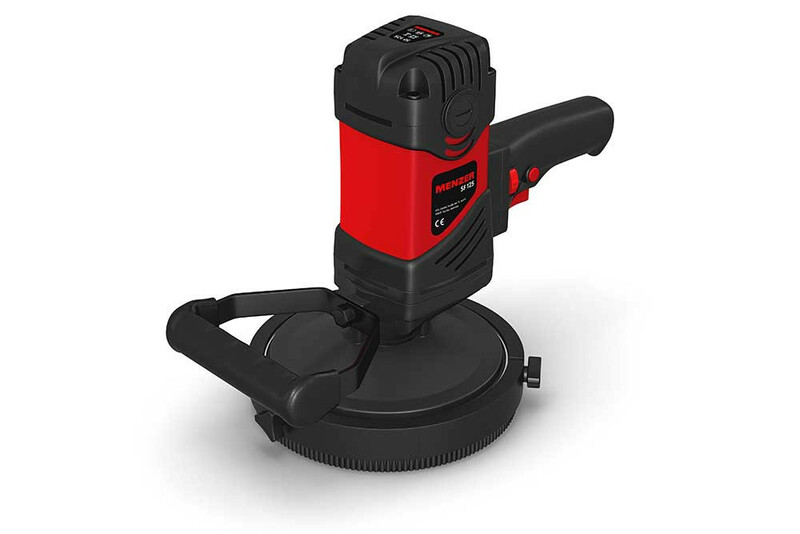 Removing old plaster, varnishes or paints or smoothing out screed: The concrete grinder guarantees perfect results on any substrate, provided the right cup wheel is attached. The compact design of the machine ensures maximised work comfort. 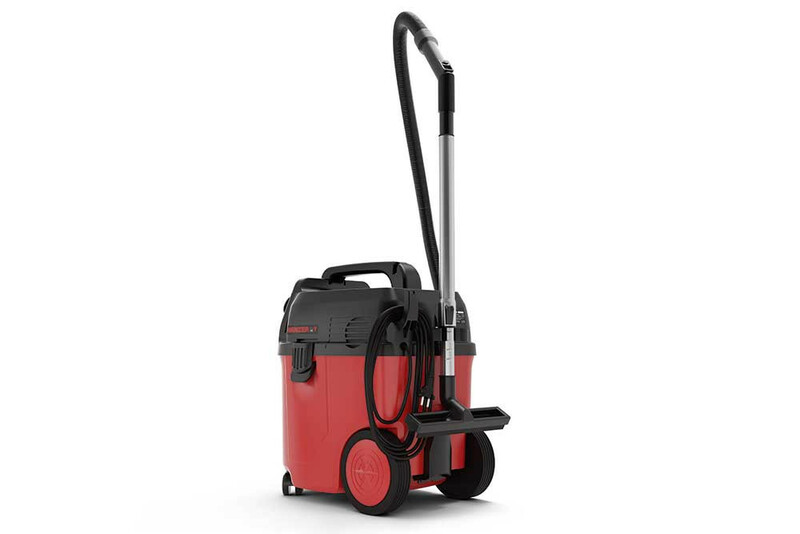 The powerful MENZER VC 790 PRO wet & dry vacuum cleaner is an ideal companion on any building site and in workshops. The automatic filter cleaning function allows the uninterrupted removal of large amounts of fine dust at a constant rate. The automatic ON/OFF function ensures operating comfort and efficient work. The classic – with direct drive. Our MENZER LHS 225 offers everything a DIY enthusiast will ever need to sand drywalling effectively and efficiently. The direct drive ensures a direct, loss-free power transfer from the motor to the driving disc for a high abrasion rate. A high-wear drive shaft – as is used in many other tools – is not needed at all. 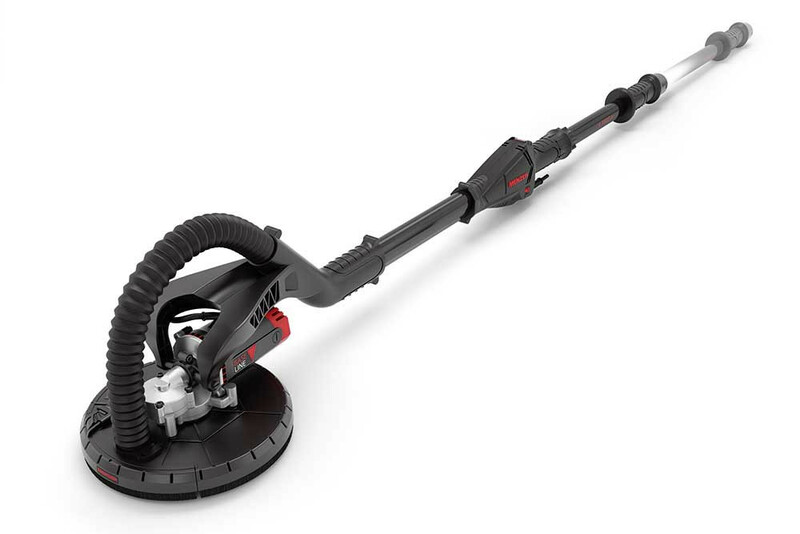 The extremely agile cup wheel and the detachable nose section allow the sanding of hard to reach areas. The bestseller – with adjustable work length. Our MENZER LHS 225 VARIO raises the bar in terms of versatility and work comfort. 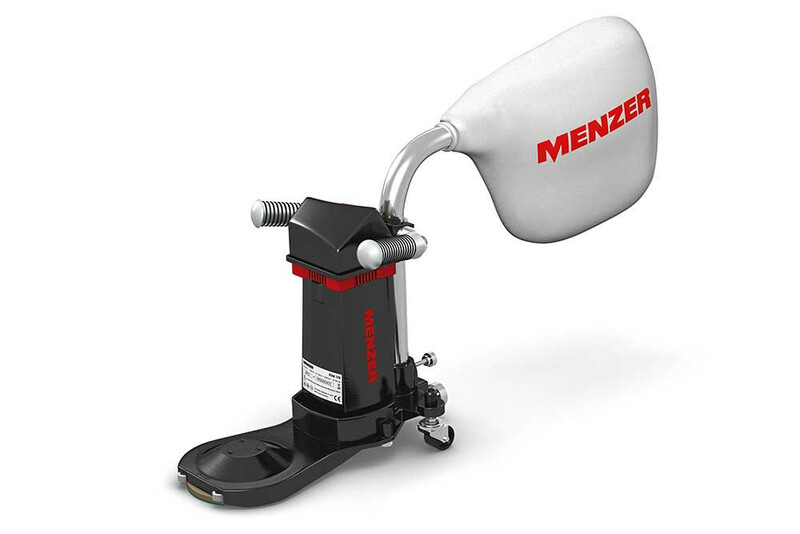 In conjunction with the highly agile cup wheel, this best seller among MENZER drywall sanders with its steplessly adjustable work length of 1,550 to 1,950 mm guarantees maximised freedom of movement and highest work comfort. MENZER LHS 225 AV adds to the benefits of MENZER LHS 225 with its integrated dust capture system. 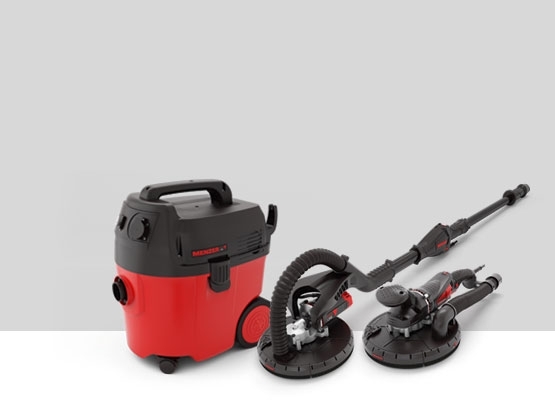 In combination with the M-certified MENZER dust bag, the unit ensures a virtually dust-free and therefore healthier sanding of walls and ceilings – without an industrial vacuum cleaner. Perfectly equipped: Our MENZER LHS 225 VARIO AV is a great tool for DIY enthusiasts working on their own drywall projects. The telescopic extension system extension system allows flexible sanding and variable work lengths of 1,550 to 1,950 mm. 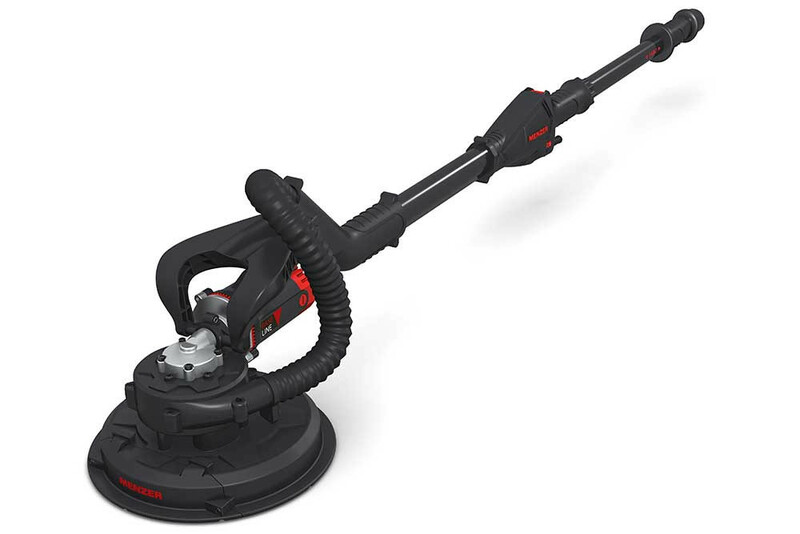 The integrated dust extraction system removes dust as it is generated – even without an industrial vacuum cleaner. 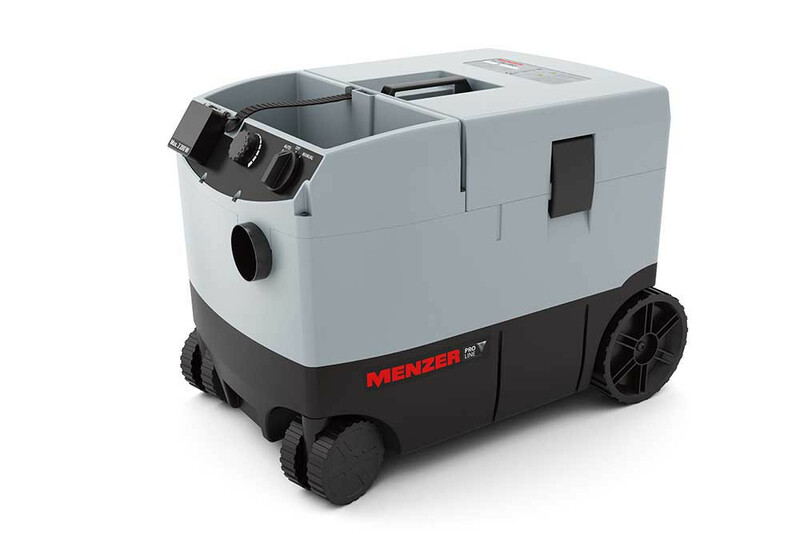 The compact and lightweight design of the MENZER TBS 225 makes it an all-rounder for interior work tasks. The removable cup wheel tip furthermore allows for perfect sanding results right into hard to reach edges. The motor output is steplessly adjustable to suit any substrate. Our MENZER TSW 225 is the tool of choice for challenging work environments. The practical removable nose section ensures the thorough sanding of large areas, corners and edges. Its 710 W motor makes it a dream come true for DIY enthusiasts. 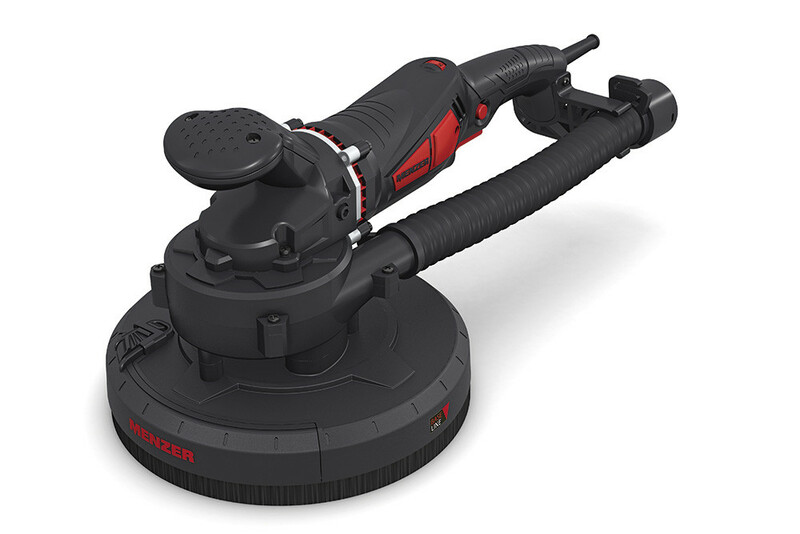 The compact MENZER TBS 225 AV drywall sander enhances the advantages of the MENZER TBS 225 with its integrated dust extraction unit complete with dust bag system. 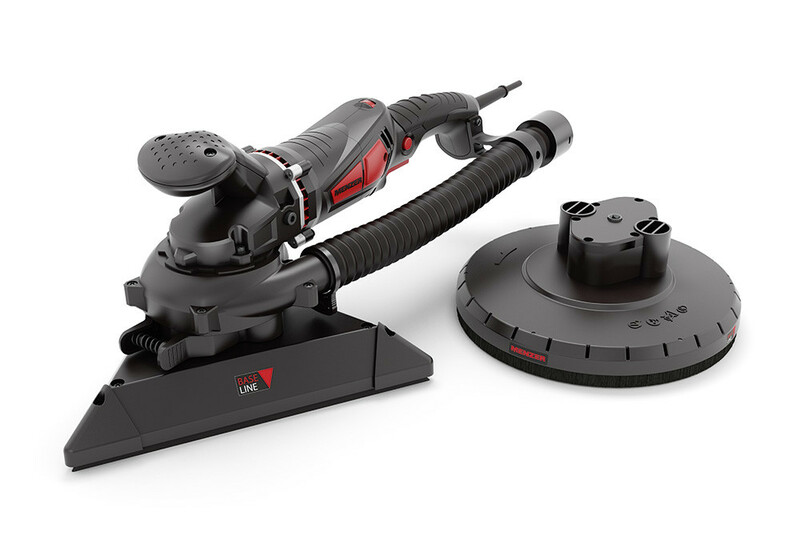 That makes it the perfect choice for DIY enthusiasts, who want to work on drywalls virtually dust-free without the need for an industrial vacuum cleaner. The extensive range of accessories for the MENZER TSW 225 AV creates optimised work conditions for DIY enthusiasts. The replaceable head system makes it a universal tool. 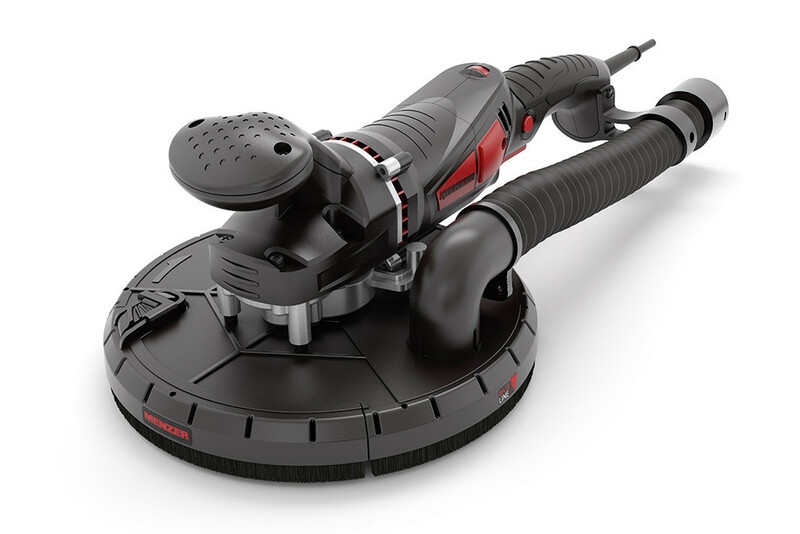 The integrated dust capture system reduces dust significantly – even without using an industrial vacuum cleaner. 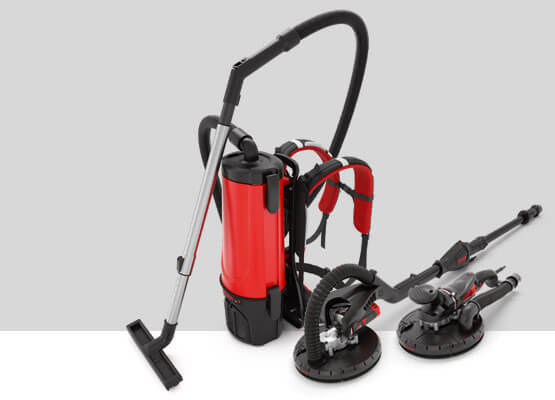 The MENZER VC 760 industrial vacuum cleaner is a powerful wet & dry vacuum cleaner for various applications. The 3-step filter system with innovative multi-cyclone technology ensures a permanently high vacuum performance of 20 kPa. The large container volume of 35 l enhances work comfort and increases productivity.